So this flower-photographing has really become a habit of mine. These photos represent my little excursions from the past two days. For the most part I quite like these particular pictures. I can’t help but feel like something is lacking, though. There’s a little voice that says to me. “if they’re all good that means none of them are; they could be so much better than this.” This little voice crops up a lot in my life, I’ve noticed. I think it’s about time I silence it and just enjoy what I enjoy. Today was a day that slipped through the cracks, and my plans along with it. It made me think of the saying “The best laid plans of mice and men often come to a terrible end.” I guess that’s not typically the way it goes, but I know I’ve heard it that way before. In any case I’d have to say this phrase fits into my life pretty well these days. Not that I mean to complain. But, suffice to say more than a few of my important plans of late have fallen through a bit. Thankfully today’s goings-on weren’t of the utmost importance, so the fact that I wasn’t able to carry them out isn’t too much of a letdown. And even though I didn’t get the opportunity to do what I had wanted on this day off of mine, I did get the chance to take some photos of the roses that just bloomed. 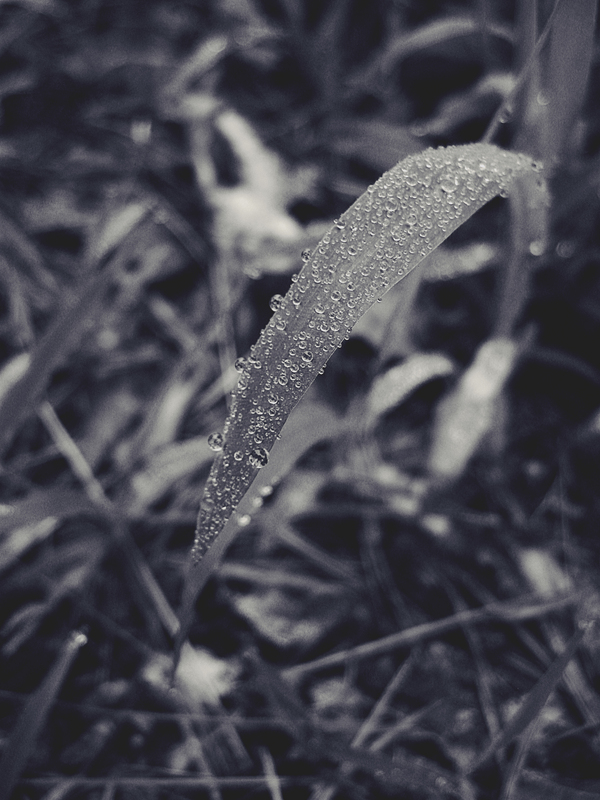 It’s been raining here for the past week, with no signs of letting up, but, rainy pictures are better than nothing, I thought. 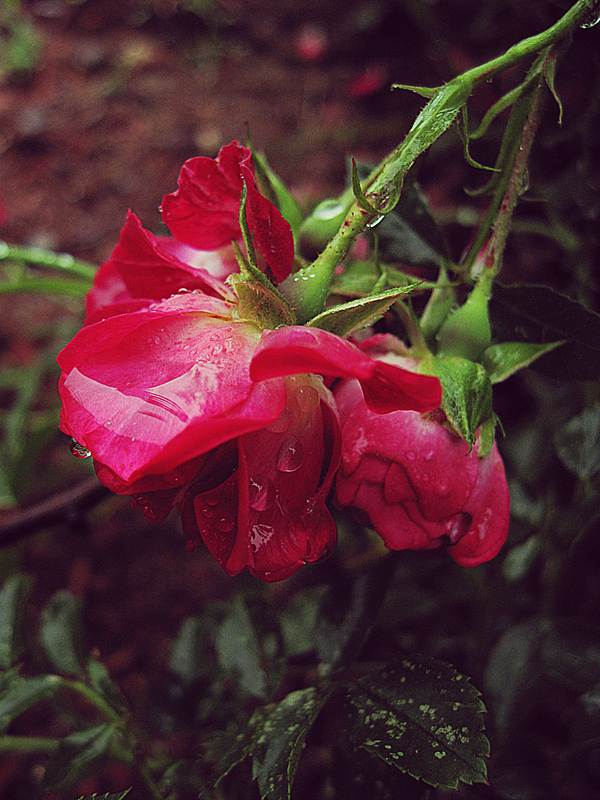 I wonder if the roses feel sad too, because of all the rain. I miss the sun.